Autographed set of Canada's Air Force: At War And Peace written by Larry Milberry. 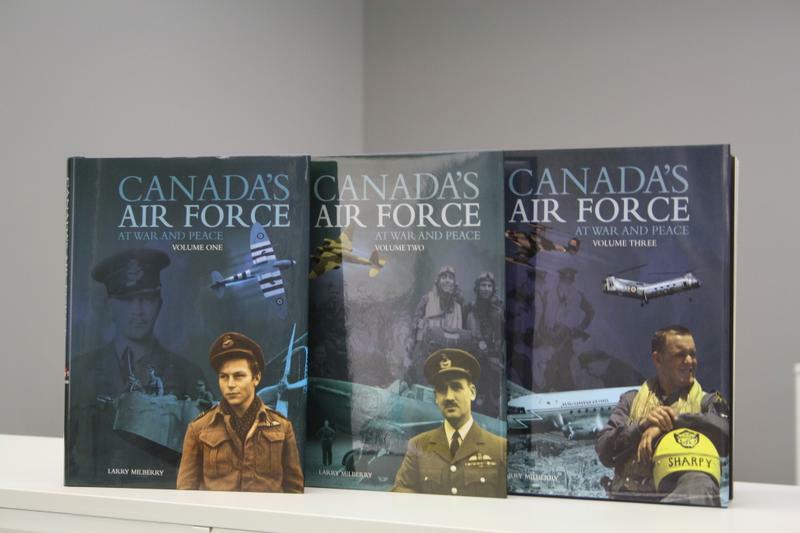 With its vast text and more than 2000 photos, Canada's Air Force At War And Peace is the grandest of all publications dealing with the Royal Canadian Air Force. This 3-volume series is something that no air force veteran will want to miss. If you have the slightest interest for air force history, this spectacular series is for you! Donated by the author, the 3 volumes are valued at $225.